R-Kiem Seeds presents its Icer variety, with Indica dominance stabilized and worked for 11 years by the bank's breeders, capable of generating so much white resin that it is hard to believe. This hybrid between SFV OG Kush and a selected clone of Ice-Cream is known for its enormous stability, with branches at 45 ° C from the central stem that give it a pyramidal structure. Its early flowering, of 8 weeks, allows us to soon enjoy its fruits, reaching to produce medium-high volume productions of flowers with an average leaf-calyx ratio and with so much brilliant resin that reminds us of sand. 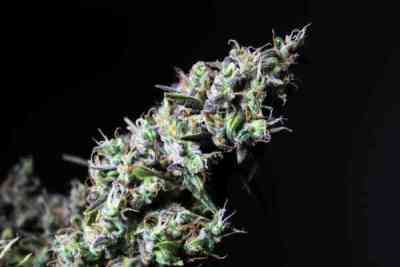 It produces so many trichomes that it will be especially suitable for making hash with it. 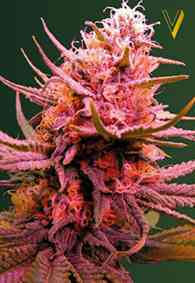 Its aroma is very peculiar and intense, acidic, original, surprising even the most experienced smokers. Its effect is relaxing, courtesy of its Indica dominance.